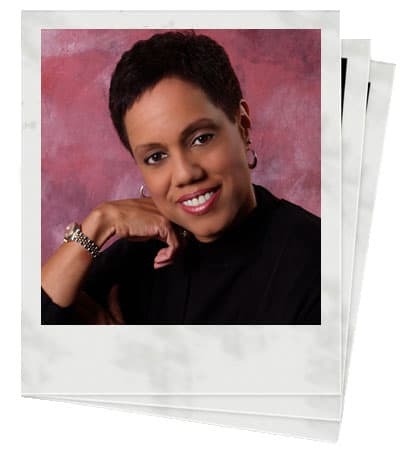 Myla DeLoatch is a seasoned facilitator and speaker. She is known for her clear presentation style and ability to engage people at all organizational levels. She has depth and breadth of knowledge in sales, negotiation, leadership development, customer service, communication, thinking skills, and professional image management. For over 20 years, she has guided behavioral change in thousands of individuals throughout the United States and across four continents. People frequently call upon Myla to help them foster stronger communication with their colleagues and customers. Throughout her career, she has worked with a range of organizations: AAA, American Electric Power, Hilton Hotels, NASA, Lidl, LinkedIn, Red Hat, Zippo, the US Department of Justice, the United States Army, The United Way, and others. Following college, Myla perused her passion for fashion and began a career in specialty retail where she held several management positions in boutique clothing and cosmetic. Along with wardrobe styling, merchandise display, and inventory management, she learned to develop customer and employee loyalty. Myla quickly realized that she enjoyed the people development side of the business as much as its creative aspects, so she returned to school to earn a degree in distributive education. With newfound knowledge in career readiness, Myla worked with high school student to prepare them to enter the workforce and to assist them with job placement and performance. These tasks required that she engage, motivate and focus her students to craft a plan for their future and follow through. Her success with career preparation and job placement opened the door for new personal opportunities that lead from education to corporate America and securing a position at Xerox. During her 15-year tenure with that organization, she won ten major sales achievement awards for her work in sales and sales leadership. It was at Xerox that Myla experienced the power of professional and personal development as she participated in countless training program, conducted sales development sessions, and lead work improvement teams. After a long and successful career, Myla transitioned from Xerox back to her roots in fashion and opened a successful mobile-boutique business and grew loyal client base. Not long gone from the corporate arena Xerox caught her attention again and she rejoined the organization as a contract trainer. Over the course of five years, she facilitated the new-employee curriculum as well as sales, negotiation, and leadership training initiatives. Myla has since accepted contracts from a range of training companies taught at The George Washington University as an adjunct faculty member. Myla joined Business Training Works in 2014. Myla holds dual bachelor’s degrees in distributive education and the business of fashion from the University of Maryland, College Park. She is a Certified Speaking Professional (CSP), and designation awarded by the National Speakers Association. She is also a member of The Association for Talent Development and Xerox-Pioneers. Prepared, process focused, and interactive. You picked the word “process” to describe your style. Tell me a little more about what you mean by that. I like to give people frameworks. That might mean a model, a set of steps, or a methodology. In other words, I like tools. Frameworks function like recipes. If you follow them, they usually work. And if you know them, even if you don’t follow them step by step, you’re taking an educated gamble. You’re not just working off the cuff because you don’t know any better. What’s important for you to know about a client before facilitating a training program? Often, I’ll start by asking, “Why this,” and “why now?” In addition to understanding what’s driving a need, I also want to know about an organization’s culture, to understand what themes are important, to get a sense of what’s been tried in the past, and to know what’s working well. Gaining that information along with a sense of the group’s norms helps me integrate my approach. The more seamless I can be, the better. You had two careers when you were at Xerox, and the first was in sales. What made you successful in that role, and how do you use that experience now? I was on a team with high standards, and my competitive nature drove me to rise to meet or exceed expectations. Also, the training was exceptional. I learned to be methodical, prepared, and to listen. When I conduct sales training, I know it helps that I’ve been in the trenches. I know what working on commission is like, I know what a good year is like, I also know how it feels to have a bad year. I think people get that when they work with me. In your second career at Xerox, you were in training. Talk a little bit about that experience. Again, the bar was high. We were on the cutting edge of what was happening in talent development during the time I was there. I learned best practices I still regularly implement. I also learned how to facilitate a library of strong material: leadership, sales, compliance, communication skills, productivity, project management, critical thinking skills, and a bunch of other topics. In addition to sales and facilitation, what else did your time at Xerox teach you? I learned a lot about what good teamwork looked like and the value of process improvement. When I started in sales, I initially worked in house in contract cancelation control. I had a partner who worked in the field. We couldn’t be successful on our own. We had to work together. Teamwork wasn’t all I gained. I learned critical thinking, decision making, and problem solving. Each year, the company required us to work on at least two improvement initiatives. In other words, we looked for broken things that needed fixing and came up with a plan to make it happen. All of that work took place with either functional or cross-functional teams. Over the years I worked on more than two dozen projects. I led a handful too. You’ve been in training and development for quite some time. What surprises you? You know, there’s not a lot that really throws me these days. I hesitate to say I’ve seen it all, but sometimes I think I have. I’ve dealt with missing materials, the wrong materials, under participation, over participation, and many other surprises. Although they weren’t fun while they were happening, those experiences made me better. Do you ever get tired of this work? No. I’ve personally experienced the difference training can make, and I’ll never grow tired of helping people learn how to do their work better and get to the next step in their careers. I did it when I worked with high-school students. I’ve done it with senior executives. In addition to making a difference, is there anything else you enjoy about this field? Yes. Every day is different. No two deliveries are the same. It’s exciting. The other aspect of this work I value is the on-the-job learning I get to do. It keeps me sharp. I’ve had an opportunity to work in so many industries and so many businesses. I’ve had an opportunity to learn a lot. What do you not like about training? I don’t like delivering something I know is poorly designed. I can fix dry material, but I’ve got to be working with someone that allows that to happen. Thankfully, I’m at a point in my career where I choose what I work on. We haven’t talked about yet, so I’m going to ask about fashion business part of your work and education. Tell me more about that. The fashion business, oh my. Well, the key word is business. Fashion is fun, creative, and exciting. And like anything else, it’s also work. My degree and experience are in the business part of fashion. It’s a fast-paced business and a demanding business. I enjoyed it when I was in it, but I enjoy learning and development more. When I’m not working you’ll find me skiing, biking, working out, following my favorite sports team, volunteering at church, traveling, keeping up with what’s new in fashion, reading, or listening to an audiobook.